With the new year in full swing (so to speak), golfers are making resolutions - the ultimate players are tweaking goals for themselves while beginners are laying the basic groundwork for the future. Are you looking to shave strokes off of your handicap or are you seeking to improve your chipping? 1. Improve short game: chipping and putting. Concentrating on the most important parts of the game will help me to lower both my round score and my handicap. 2. Keep a positive mindset and "can-do" attitude while playing: it's easy for your thoughts to spiral downhill during a round as the strokes start to add up. Instead of focusing on the negative, catch yourself, look around at the beautiful day you have been given and think about your best shots so far during the round. 3. Practice with a purpose: No point in practice if the only thing you do during your time on the driving range is smacking golf balls as far as you can - think about every shot you take and make the most of each ball you place in front of you. 3. Play more golf! I offer this golf resolution every year and try to stand firm on this goal. Can't play 18? Go out for 9 holes! Watching a kid for the afternoon and think you can't play golf? 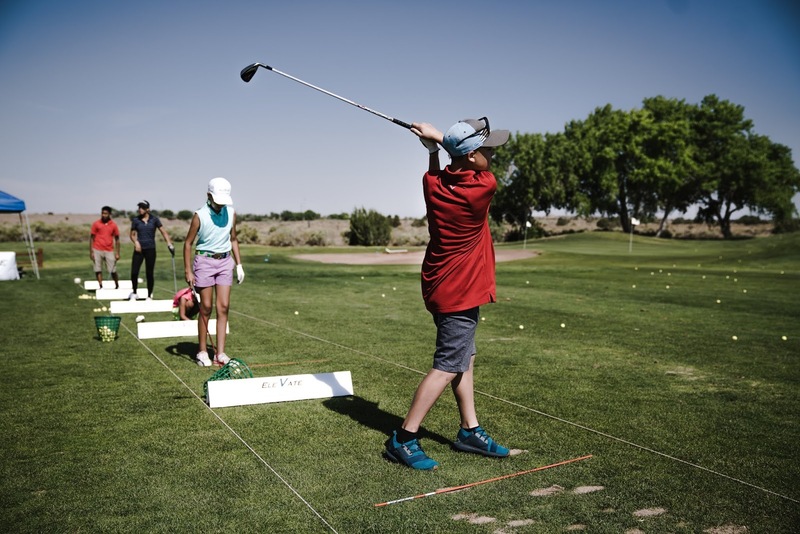 Take the kid to the driving range and teach the game to someone new! Where there is a will, there is a way. Whatever you choose to do, be specific about your goals, write them down and continue to review your progress throughout the year. Happy New Year! Any questions or comments, place them in the comments section below and tag us on Twitter @Golf4Beginners.